Hello early childhood educators around the world. As we come full circle together to this final week of this semester I feel immensely grateful for the knowledge and insight I have gained from each of you. I could go back through each of your blog’s, and posts and share different things each of you have taught me this semester however, I feel that wouldn’t truly justify the impact you have made on my life. I have had an extraordinary eight weeks. My family moved to Arizona, I started a new job in Phoenix for the Head Start Program which I love, and I had this course with each of you and our marvelous professor Dr. Nigel. We are each here because we believe in early childhood and what it stands for. 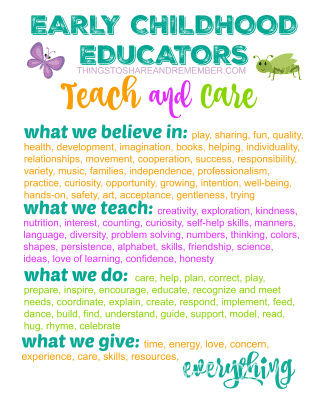 Thank You for supporting and teaching in the early childhood field. You are needed and appreciated more then you know! Have an outstanding fall semester! 3. 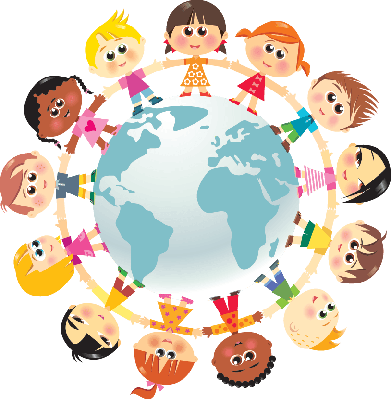 My final consequence of issues and trends that I have obtained about the international Early childhood field for my personal development is that I can be an advocate with other early childhood educators around the world and write letters to my congressmen. I can be a voice about the poverty and living conditions of children throughout the world and in my own community. I can volunteer for these organizations and in my community to help alleviate hunger and homelessness. I can speak out at conferences and with business people in the community about the importance of early childhood and the need to help all children receive an education so they can have a future. I can make a difference and so can you. We just need to have a willing heart. Fellow colleagues,I thank you for your insight and experiences you have shared with me this semester. I feel invigorated as I continue forth on my path toward my Master’s Degree in Early Childhood Studies. I wish each of you a joyous fall semester as each of you continues on your journey towards your Master’s Degree in the Early Childhood Field. Have a marvelous week!